Dr. Niranjan Rajadhyaksha is Research Director and Senior Fellow at IDFC Institute. He provides direction to the Institute’s research programmes. His research interests include macroeconomics, political economy and economic history. Previously, he was Executive Editor of Mint, a financial daily, where he managed the opinion section, wrote the daily editorials and the award-winning Café Economics column. He also helped launch the data journalism initiative at the newspaper. Before joining Mint, he was Deputy Editor of Business World, a financial magazine. Niranjan was awarded the Jefferson Fellowship by the East-West Center in Hawaii in 1998. 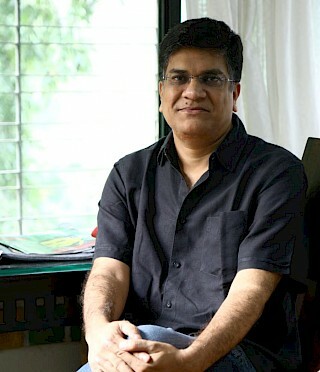 He received the Society of Publishers in Asia Awards for excellence in opinion writing two years in a row (2010 and 2011). He won the Ramnath Goenka Award for Excellence in Journalism in 2012 and the B.R. Shenoy Award for Economics in 2017. Niranjan is a member of the academic advisory board of the Meghnad Desai Academy of Economics and the board of trustees of the Centre for Civil Society. He was also a member of the advisory committee on the fifth volume of the official history of the Reserve Bank of India, written by Tirthankar Roy. He has served on the economics curriculum advisory committees of the Mumbai School of Economics and Public Policy, Ramnarain Ruia College and Welingkar Institute of Management. He completed his PhD from the Mumbai School of Economics and Public Policy and holds a BA and MA in Economics from Mumbai University. The barriers to entry of new firms in the digital space are a bigger concern than the mere presence of digital monopolies.